Here is the full, unabridged version of my appearance on CJSW Radio’s The Nocturntable with the incomparable DJedi Christine from October 29. Including a veritable feast of All Hallows tuneage, a short interview and a reading from #Furr ! Check it out! So it’s Indie Author Day… apparently… I’m hearing about all kind of events and activities in Edmonton and beyond, but haven’t come across anything planned here in Cowtown. It seems to me to be a recurring problem. 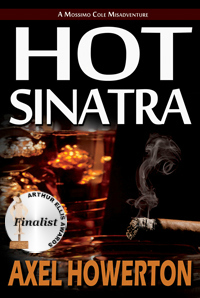 One of the reasons I throw the #NoirBarYYC events (next one October 18, btw… come on down!) and one of the reasons I put together and published the AB Negative anthology. While we’ve got some amazing events, namely the annual When Words Collide conference, there seems to be a real dearth of writerly events and community support compared to our northern capital, or even smaller burgs like Lethbridge, where they just held a Word On The Street event. I love Calgary. I’ve lived here since I was thirteen years old – nearly thirty years, for those of you keeping score – and I’ve spent all but three weeks of that thirty years right here in my own home town. Like the song says, it’s “the best hometown I know” (and if you’re from YYC, you know exactly of what I speak. bar Sunday jams, and wowed the 3pm crowd at the Ship & Anchor. I used to frequent the Westward Club and then the Night Gallery, and always, always, the glorious dark corners Republik. There were a couple of summers I spent more time there then at home – watching Wagbeard and The Primrods and The Smalls. We’d close down the Republik, then meet up with our bartender pals from The Warehouse, and drink at the Ship until dawn, then pass out for a half hour on benches in front of the Knox United Church while we waited for the bus back to the hood. Or we’d leave the club at 2AM, ears ringing, heads buzzing, and crawl into a booth at the Husky House for pancakes and many plates of bacon. When I moved out on my own, it was straight into the glory of the beltline, blocks away from downtown in places like The Marlhurst by the Lougheed House, and in that godawful take-out box behind the world-famous Calgary Tower. I lived just off 16th Avenue and 4th Street in a run-down basement suite and worked in a cubicle in Bankers Hall, eating lunch on Stephen Avenue and hitting the myriad of pubs down that magnificent stretch of road. Things changed, as often happens with Life and, with a wife and a baby on the way, the smog and concrete of dowtown Cowtown didn’t seem so comforting and secure anymore. I moved on up to a dee-lux apartment in the skies of Signal Hill, where there was more green and less noise. I worked more, spent my nights with my family, partied and socialized less and less. Over the last decade-plus, in many ways, I’ve lost my connection to the city that done grew me. Taking my eleven-year-old out for his birthday a few weeks ago, wandering across 17th Ave from the Stampede grounds to Tubby Dog, and north across downtown to jump on the C-train, it occurred to me that I barely recognized my own city anymore. Getting back to the Indie Author Day thread – I wrote a story in AB Negative, about a drug dealer named Devil, in an unnamed part of town (which was actually Bowness). I wrote a story about a couple of dudes kidnapping a crazy old cat lady from a house in Victoria Park (a Victoria Park that is now being overhauled into something new and shiny and completely contradictory to the shanty town in my story). 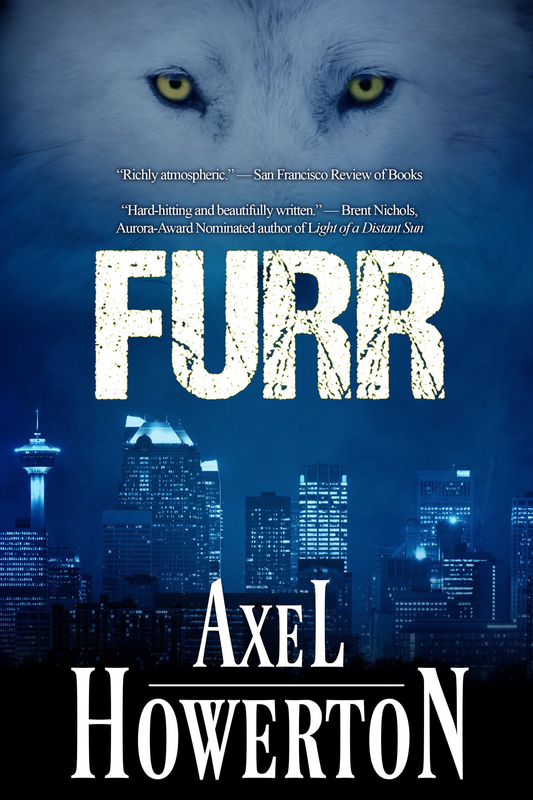 I wrote a book last fall, that comes out at the end of this month… Furr… a modern gothic fairytale that starts out in that same Bankers Hall cubicle, and that same take-out box high-rise. I’m starting a new series right now, springing forth from Furr and starring that drug dealer (who also pops up in Furr). It’s set right here in the best hometown I know. I’m seeing that I need to rebuild that relationship, rediscover my home, and my place in it. Especially if I want to tell the story of Calgary, as well as the tale of the Wolf and Devil. So what I want to ask, on this special Indie Authors Day, where your own Hometown Anti-Hero is about to examine our shared community and put it down in pages full of action, love, hope and unbound weirdness – tell me what YOU love about this town. What do YOU think I should feature in the new books? What places and stories and memories do you have, that bring this city of ours to Life? Comment below, drop me an email… tell me what Calgary means to you.